Microsoft has recently launched Office 2016 with number of effective and valuable features. Office has always been a popular for its unbeatable tools that allow users to accomplish their tasks with great ease. Let’s have a look on its new MS Office 2016 features that will sure help users to make their tasks simpler and easier. The most important additional feature to Microsoft Office is co-authoring. It allows users to work on Microsoft Word or Microsoft PowerPoint documents at the same time. No matter what device they are using.They can work simultaneously without any hassle. One user can even see what others are doing in a document in a real-time. The users would not get any white space problem as now all Office 2016 programs have colorful themes. It has introduced dark theme options that allow users to modify its light colored interface to dark gray theme. The desired theme can be selected using dropdown colorful Office Theme box. Tell me is the smarter version of Search Assistant in Office 2016. It is a tool that helps you to get the right solution by understanding your queries typed in words. List of commands are shown to choose the one.The tool is available in Word, PowerPoint, Excel, Outlook, Access and Visio programs. The latest Microsoft 2016 has better integration with Skype that allows users to do online chat, share videos and screen with other colleagues. Online meetings can be joined using Skype’s mobile app. You can see who is online, can join online meetings and track presenters sharing their screens. Smart Lookup features allow you to know more about words and phrases you want. This feature is available in Word, PowerPoint and other Office applications. Just select any word or phrase, the related information about the selected text is shown at the right sidebar. It provides search results from the internet. Created notebook can be shared with other people using OneDrive. Make sure to keep it on OneDrive i.e. on one central location, which enables you to access the relevant information on your all devices. You have to share notebook with the individual before others can see it. Forecast charts based on historical data can be created with just one click and helps in predicting the future trends. This feature gives accurate forecasting data using industry standard Exponential Smoothing (ETS) algorithm. ‘Forecast Sheet’ option can be found under the ‘Data’ tab. Now, you can export the linked data sources from Access database application to Excel in Office 2016.If you are working on Access app that involves linking of several different data sources, such type of export feature helps you to organize all data sources and their types in a proper list. Access 2016 makes the task of exporting data source information to Excel easier. The numerous features of Windows 10work greatly with Microsoft Office 2016. Windows Hello & Cortana work effectively in conjunction with Office applications. No matter what Windows 10 device you have. 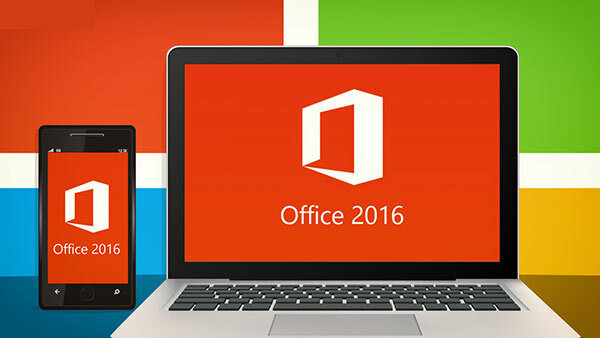 All these devices give full support to latest Office 2016. They help you to access your documents or other related data anywhere and anytime. Planner allows team to organize and maintain their work using Office Graph that makes this feature more efficient and useful. The visual dashboards and email notifications help all members in a team to be aware of the progress in a project. These features will sure make Office to drive miles away from its competitors. Just install Office 2016 in your computer or mobile, and see great difference in your performance. Previous: The Best Approach Should You Choose – Adaptive Design OR Responsive Design?